This bouquet is captivating in every sense. 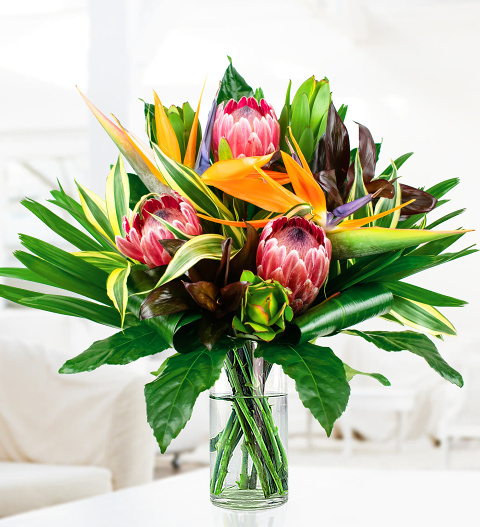 While the Bird of Paradise flowers offer amazing colour, the Proteas add a variety of textures as well as rich colour. We have included Aspidistra, Dracena, Raphis Palm, Aralia Leaf, and Safari Sunset to ensure plenty of contrast in this design. A wonderful choice for all occasions including birthdays, anniversaries, congratulations, and housewarmings. Chocolates may contain nuts.